In pursuance of the UGC directions, the higher educational institution are banded for regulation on curbing the menace of ragging in higher educational institutions, 2009,” These regulations are followed by our institution strictly. Any act of physical or mental abuse (Including bullying and exclusion) targeted at another students (fresher or otherwise) on the ground of colour, race, religions caste, ethnicity, gender (including transgender) sexual orientation, appearance nationality, regional origins, linguistic identity, place of birth, place of residence or economic background. To ensure a ragging free campus. Constitutional zing an anti-ragging committee and adequate publicity through various Banners and stickers. To mention of anti-ragging warming in the institutions prospectus. 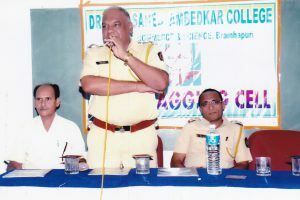 Regular interaction and counselling with the students for detecting the early signs of ragging. 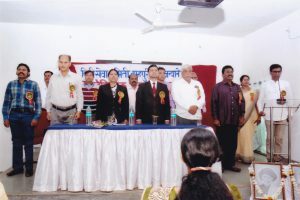 Conducting Anti-ragging workshops, seminars and programmes of Advocates & other judicial related personalities. Updating website of intuitions with complete address on nodal officers and other members of anti-ragging cell. Surprise inspection at Hostels, canteens, rest rooms, common rooms, toilets, and other beneficiary places of the institution. Organizing fresher’s party under anti-ragging cell.